Theo Von is one of the funniest comedians working today. You can catch him on the Dark Arts Tour coming to a city near you. His special, No Offense, is on Netflix now. And he has a podcast, This Past Weekend, which is available on Apple, Spotify, RUclip, and wherever else you get your pods. 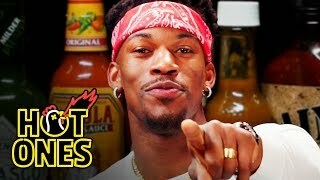 But how is he with spicy food? 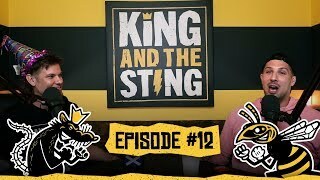 Find out as the Rat King takes on the wings of death and chats with Sean Evans as if they were lifelong buddies. 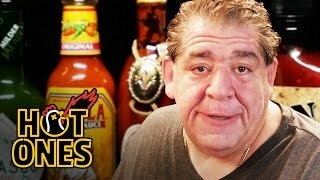 As he battles the hot-sauce dark arts, Theo tells stories about climbing Mount Kilimanjaro, capturing chimps in Louisiana, and adapting to the L.A. lifestyle. GANG GANG! This is the best interview of the season! Theo Von is hilarious! Never heard of him before but definitely going to check out his pod cast. 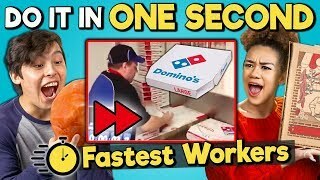 16:03 "whoo, ahh... 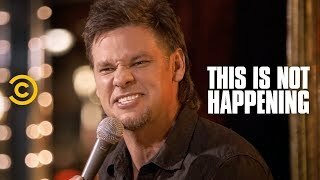 I just remembered something from a long time ago..."
Theo Von combines hillbilly humor with ancient Greek philosophy, and constantly surprises with what a gentleman he is.